Pesticide spraying is having disastrous results on biodiversity and public health, says Alfred Baldacchino. Government entities were passing the buck on pesticide regulation, causing fragmentation that was having disastrous results on biodiversity and public health, a leading environmentalist has warned. 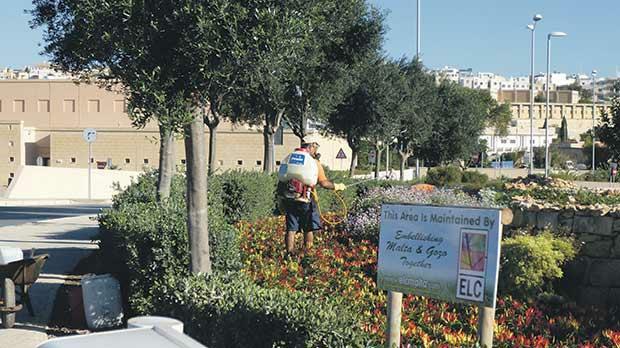 Alfred Baldacchino told the Times of Malta that, since July 2014, he had attempted to raise concerns over the indiscriminate spraying of herbicides and insecticides with several government departments and bodies but none assumed full responsibility. The Parliamentary Secretary for Agriculture, the Health Ministry, the Environmental Landscapes Consortium and the Malta Competition and Consumer Affairs Authority were all contacted, he said. They either referred the matter to another department or did not respond, although the MCCAA promised to call an interdepartmental meeting between all the stakeholders to determine the way forward. Mr Baldacchino said the regulation provided by the MCCAA* was solely from a financial aspect, leaving no effective regulator for the impact pesticides had on biodiversity. He warned that wild flower ecosystems, which provided a habitat for important pollinating species like bees, were being destroyed due to widespread pesticide use by the landscapes consortium and local councils. Bees and other pollinating species are responsible for about 15 per cent of Malta’s total agricultural produce but have been in decline for years. Some experts estimate that there are now 60 per cent fewer bee colonies than there were just 20 years ago. Somebody must be responsible and paying for such spraying of chemicals. Mr Baldacchino said the controls that should be in place in relation to councils of localities where the spraying of pesticide took place were ineffective in practice. Such controls should also cover the ministers responsible for local government, water and the environment, he added. An official request he made to view the contract between the government and the landscaping consortium was blocked by the Infrastructure Minister, Mr Baldacchino said. Who is paying for such spraying of chemicals? Could it be the Minster responsible for Landscaping? The EU has regulations on the use of pesticides and maximum levels of residues. Activists campaigning for the reduction of pesticide use worldwide say pesticides have been linked to a wide variety of health hazards, from headaches and nausea to cancer and endocrine disruption. Also, chronic health effects could occur years after minimal exposure to pesticides ingested from food and water. New research published in France this week showed that homes close to cultivated areas are exposed year round to a significant cocktail of pesticides, many of which are potential endocrine disruptors, substances that threaten developing foetuses and young children even at low doses. “This fact illustrates the urgent need to change agricultural practices and to ensure that the spraying of synthetic pesticides is prohibited near areas where people live,” said François Veillerette, a spokesman for Générations Futures, the organisation that carried out the search. You are currently browsing the archives for the pollinators category.